Charlotte is a highly trained patisserie chef and has worked with big names such as Stephen Markwick creating mouth watering desserts. Charlotte's skill has led to commissions from M&S, Waitrose and Sainsburys to name but a few. Her courses are held at her Sugar Therapy store in Harrogate only a 5 minute walk from The Camberley, we also have a deal that if you are comming to a Sugar Therapy course if you book your accommodation with us you receive a 10% discount. Details of the various courses are avaliable on the web site www.sugartherapy.co.uk or you can ring and book directly on 01423 563676 for details of the couses avaliable. This is one of the most highly thought of cookery school in the country - information on their courses is avaliable from www.bettyscookeryschool.co.uk courses cover all sorts of topics from basics to complicated from day to two weeks. The school itself is located on the outskirts of Harrogate but we are only a short drive away and there is ample parking both with us and with Betty's. This is a new cookery school operating out of The Square Restaurant on Princes Square in Harrogate - their classes are starting from Spring 2013 so as yet we do not have scheduling. 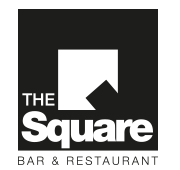 Their web site is http://www.thesquare-harrogate.co.uk/ so keep an eye out for the latest updates. The restaurant is only a short walk from The Camberley.